I love it when work leads to more work! After creating the lizard puzzle spread illustration for the fabulous Canadian children’s magazine chickaDEE, their sister magazine Owl contacted me for the the above spot illustration. 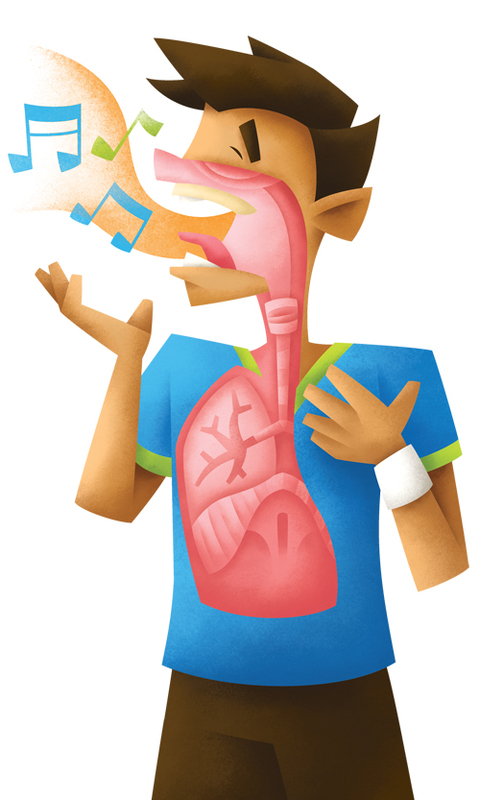 The illustration is one of two that are both for a feature on the science of music and singing in this month’s issue. It was a fun challenge making all that anatomical stuff!